Study Shows One Third of Known Exoplanets are "Water Worlds"
In a breakthrough study, researchers have discovered that over one-third of all the exoplanets ever found could be water worlds, making them more than open to being capable of creating life. In a huge discovery for planetary science and the search for alien life, over a third of medium-sized exoplanets already cataloged could be water worlds. In addition to cataloging as many exoplanets as possible, data analysis from the Kepler telescope also helps determine which of these worlds could support life. Usually, scientists look for clues that hint at the presence of liquid water to label an exoplanet as a potential target for further examination. We think of liquid water as a rare cosmic commodity, just as we used to think of extrasolar planets up to the early 1990s. And, just like we learned when we were completely wrong about the rarity of planets in the cosmos, we may be equally way off base regarding liquid water. Thanks to the telescope, astrophysicists have classified over 5,000 exoplanets of different sizes, between confirmed and candidate statuses. Now, according to a new study, at least a couple of hundred of these exoplanets could be rich in water. Although Earth gives off a captivating blue reflection from space due to all the water on its surface, only 0.02 percent of its total mass is made up of water, including groundwater. If the findings of a new study by a team of international planetary scientists are to be confirmed, there are many worlds outside our solar system that make our planet look utterly dry. When the researchers came to their conclusions, they described them as a “huge surprise”, after they reevaluated data from NASA’s Kepler telescope and ESA’s Gaia mission. 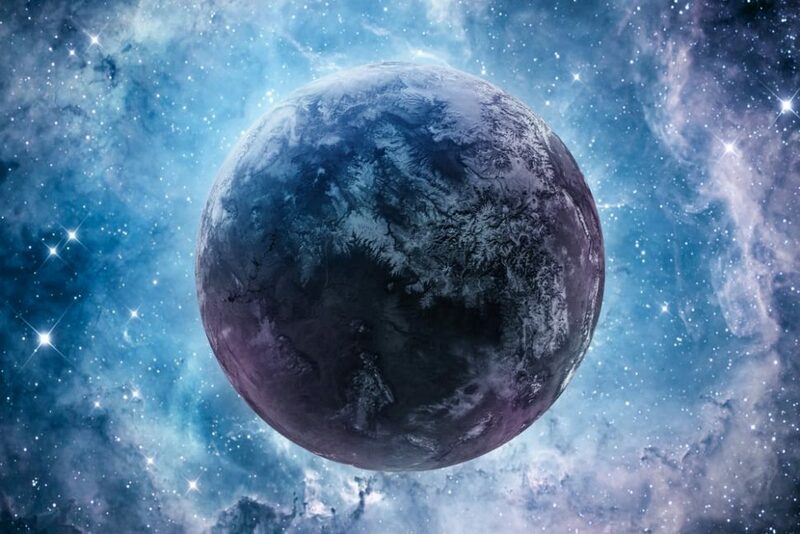 They found that the thousands of confirmed and candidate exoplanets known to date come in two size categories, they’re either 1.5 or 2.5 times larger than Earth. “We have looked at how mass relates to radius, and developed a model which might explain the relationship”, said lead researcher Dr. Li Zeng from Harvard University. “The model indicates that those exoplanets which have a radius of around x1.5 Earth radius tend to be rocky planets (of typically x5 the mass of the Earth), while those with a radius of x2.5 Earth radius (with a mass around x10 that of the Earth) are probably water worlds”. According to the team’s calculations, about 35 percent of all exoplanets bigger than our planet should be rich in water. However, researchers, who presented their work at the 2018 Goldschmidt Conference (Boston), need atmosphere data from other missions, like the newly-launched TESS mission and coming James Webb Telescope, to confirm their findings. Is it more probable to find alien microbial life in exoplanets than in rocky planets within our solar system, like in Mars?